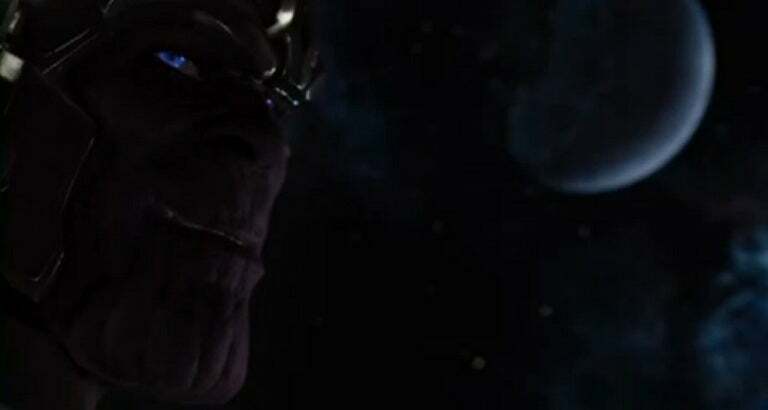 In the run-up to the September release of Marvel's The Avengers on DVD and Blu-Ray, Walt Disney Pictures and Marvel Studios have released three new clips from the film to a promotional website--including the mid-credits reveal of Thanos as the Titan behind the curtain and the likely villain of Avengers 2. The videos, seen below, are titled "Captain's Plan," "Suiting Up Montage" and "A New Threat," with that last one being the video featuring Thanos. They add to the dozens of video clips made available from the film in the run-up to its theatrical release, as well as a ten-minute featurette currently available for download to fans who pay $1 to pre-order Marvel's The Avengers on DVD or Blu-Ray from Target stores. Coming this fall, the third highest-grossing movie of all time and the #1 movie in the world, “Marvel’s The Avengers” assembles as you’ve never seen it before on Blu-ray 3D™, Blu-ray™, DVD, Digital and On-Demand platforms on September 25, 2012. In anticipation of this release, Marvel is also launching an all-new App in July - “The Avengers Initiative: A Marvel Second Screen App” (available for the first time on iPhone) – that gives fans unprecedented access to exclusive content building up to the home entertainment release. The home video release will cap Marvel's year of The Avengers, during which they had only the one theatrical release (The Amazing Spider-Man doesn't count, because it was a Sony film featuring a Marvel character), as opposed to the two annually that have started to become the norm and the rumored three the studio has planned for 2014. Thanos' popularity has skyrocketed since appearing in this clip in May, leading to the announcement (and abrupt cancellation) of a miniseries featuring the character that was set to hit stores in October. Thanos is currently squaring off with The Avengers in Avengers Assemble, a comic book by superstar creative team Brian Michael Bendis and Mark Bagley that features The Avengers as they appear in the movies, and guest-stars The Guardians of the Galaxy, whose movie is in development for late 2014. 'Game of Thrones' Recap With Spoilers - "A Knight of the Seven Kingdoms"